Hello and Happy Christmas to you all!! It is a tradition in our house to have some sort of home made decor and it usually is something 3D and fun. 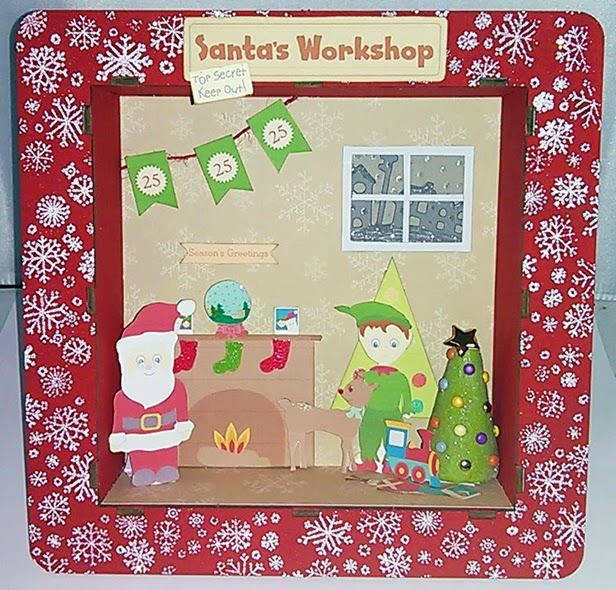 To this end I used the Santas Workshop kit along with a shadow box to make a fun Santa's workshop decor piece. I hope you are all having a lovely and food and family filled day and enjoy the rest of your day! !